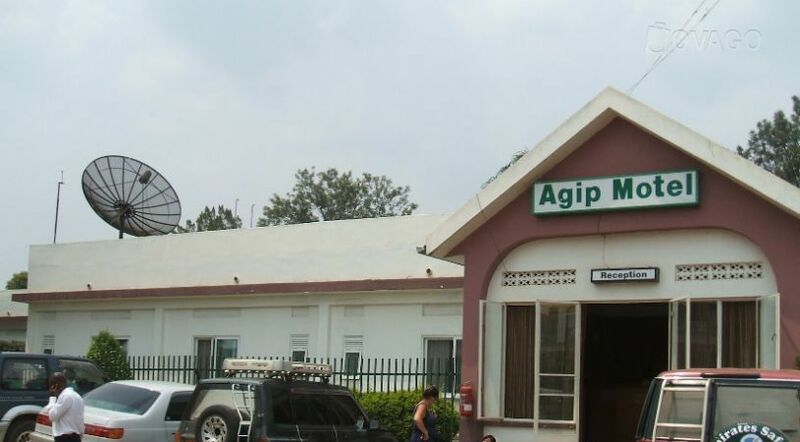 Strategically located in the Centre of Mbarara town in South Western Uganda, Agip Motel is a quiet and charming hotel. 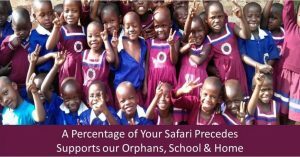 The Motel’s excellent location, diverse facilities, quality service and professionalism make it the most preferred place for international travellers, holiday makers, local business men, women and families on safaris to south western Uganda. The Motel offers accommodation facilities in its well designed and furnished rooms. All rooms are self-contained. 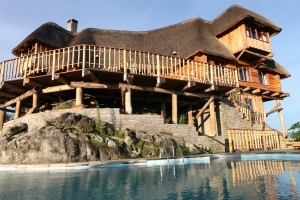 It also has beautiful tranquil gardens suitable for camping, cocktail parties, banquets, live bands, gospel, weddings, crusades, or other large outdoor events. Agip Motel also offers conference facilities for up to 50 -100participants. 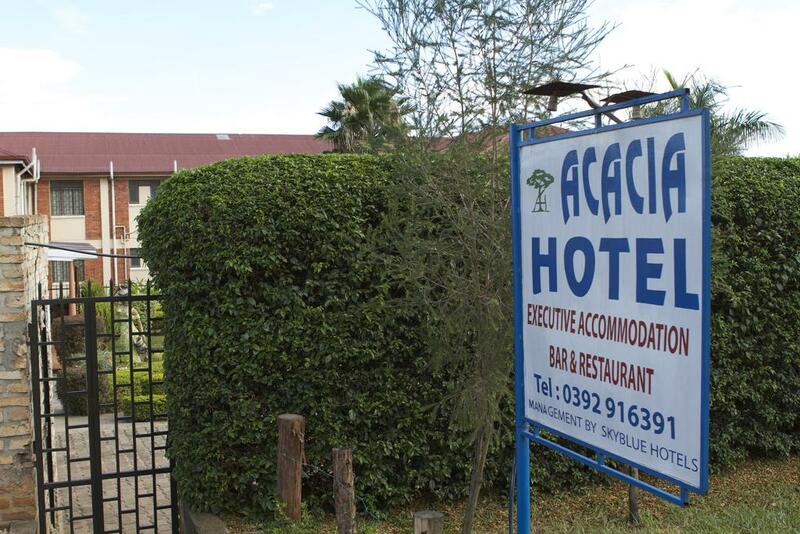 Acacia Hotel Mbarara is situated on the main highway in the busy Ugandan city of Mbarara about 100 meters from Mbarara University. The hotel offers visitors a comfortable -quality stay in 40 well furnished rooms. 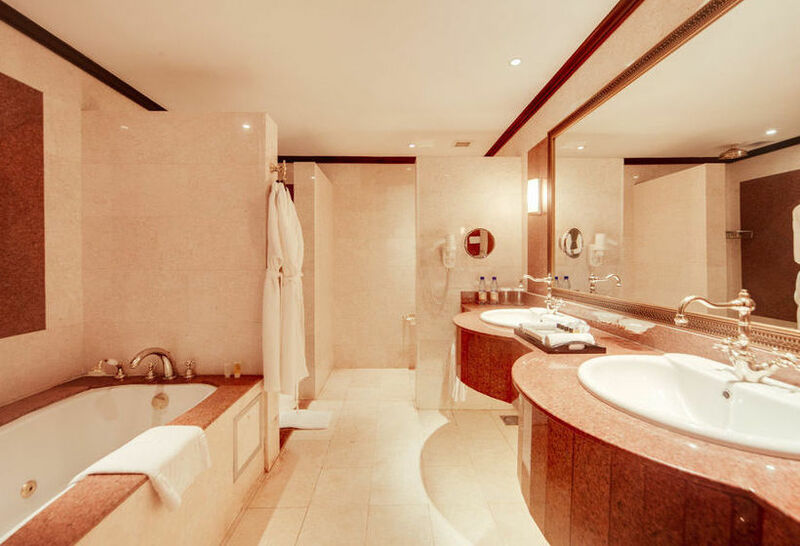 The en-suite bedrooms in the hotel offer a clean and sophisticated feel with modern facilities including wireless Internet, telephones, flat-screen TVs and comfortable furnishings. The on-site restaurant, Tamu-Tamu, offers outstanding culinary cuisine putting emphasis on creative dishes while promoting the best of African cuisine. 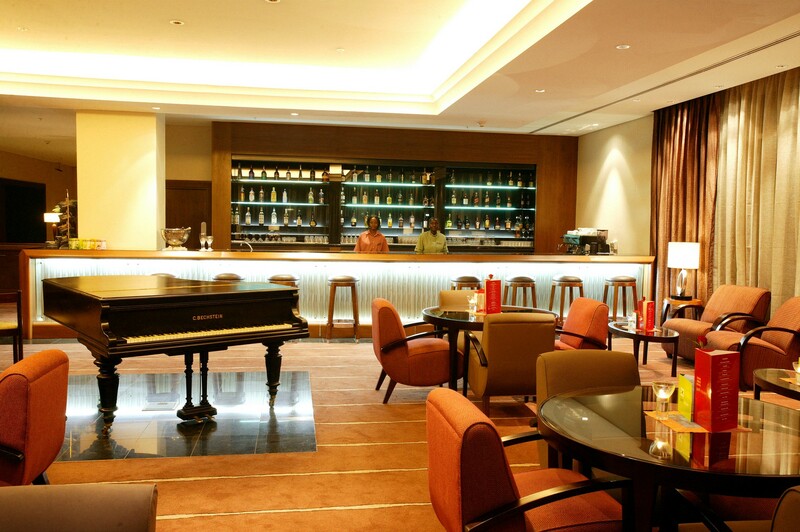 For those business travellers, the hotel is also a best meeting and conference venue. Ideally positioned, visitors to the hotel can easily access nearby banks, places of worship, supermarkets and the Mbarara University of Science & Technology. 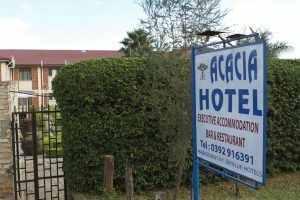 In regard to dinning, the hotel has Tamu-Tamu Restaurant which has become famous address in Mbarara for an outstanding culinary experience and Cuisine, putting emphasis on creative dishes whilst promoting the best of African Cuisine and Continental Dishes by using only the finest and freshest ingredients thus offering customers the ultimate and most remarkable dining experience with a buffet service for Lunches and dinners. 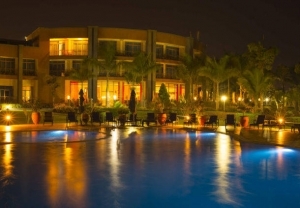 The hotel also offers conference/meeting facilities that meet any business needs. All the hotel meeting venues are purpose-designed, combining impressive furnishings and décor with sophisticated business technology. 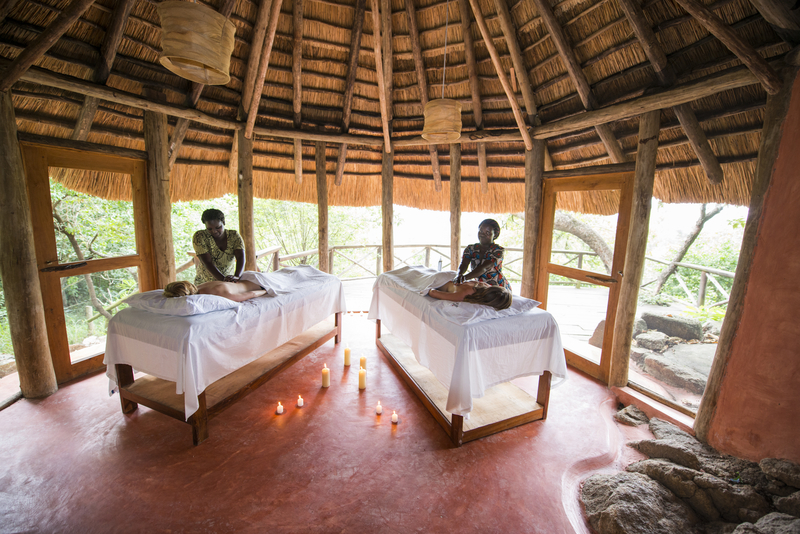 Individually controlled air-conditioning creates a pleasant environment. The conference venues can be modified to classrooms, boardroom, and theatre-style rooms. Rwizi Arch Hotel is a private luxury hotel perfectly located at the outskirts of Mbarara town. 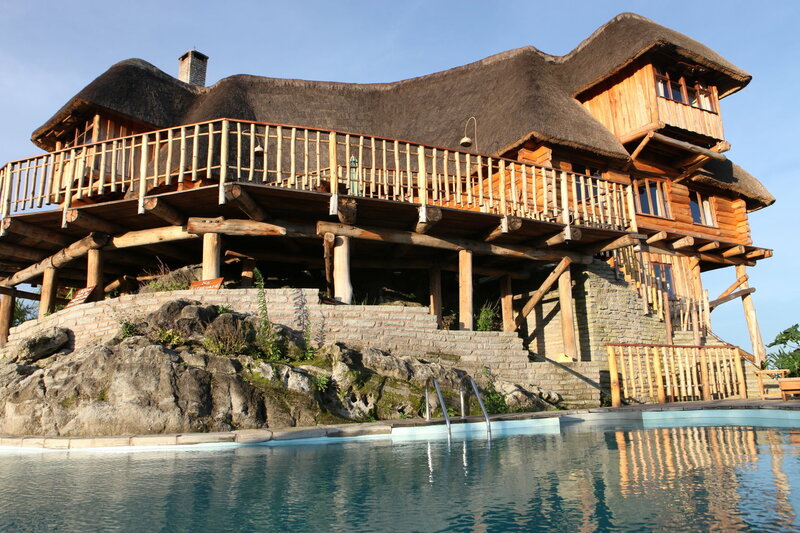 Rwizi Arch hotel is an ideal stopover point for adventurous travelers who would like to explore some of the splendid Uganda’s National Parks. 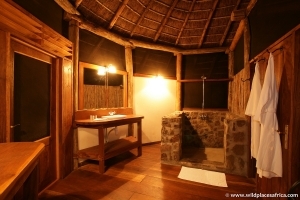 Rwizi provides a magnificent experience to any visitor who under takes safaris to south western part of Uganda. Gardens with a clean environment with combed lawns and trees all fenced away from the noise. An underground bar where meals are available on an a la carte arrangement. 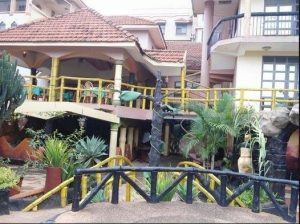 This is the most affordable and comfortable accommodation option in Mbarara, located along Bananuka drive, the hotel is cheap and easily accessible to the bus stop, shopping places, banks, in Mbarara town.